Are you a company, travel agency, Tour Operator, or an individual, looking for someone to help you with the organisation of your stay during this high-volume event? 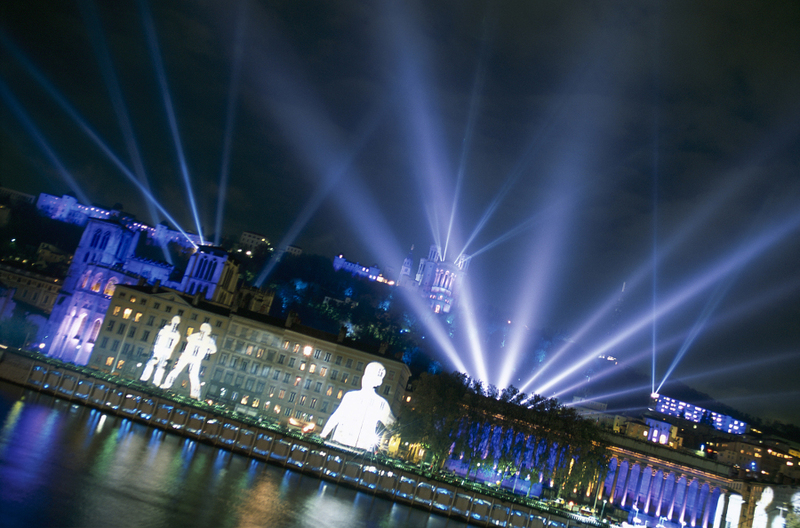 The traditional celebration of the « Illuminations » on the 8th of December goes back to 1852, when the golden Virgin statue made by the sculptor Fabisch was placed on the bell tower of the Fourvière Chapel. At first, it was expected to be programed on the 8th of September 1852, the original day of the wish of the aldermen of Lyon to Mary made on the 8th September 1643, in order to protect Lyon from the Plague. Nevertheless, a flood took over the sculptor’s workshop during the previous summer, which forced to put back the official opening on the 8th of December for the Immaculate Conception celebration. However, the bad weather came for a new time. Thus, the opening was put back again on the 12th of December. But finally, on the 8th of December, the weather subsided and the Lyonnais spontaneously illuminated their windows to mark this miracle. 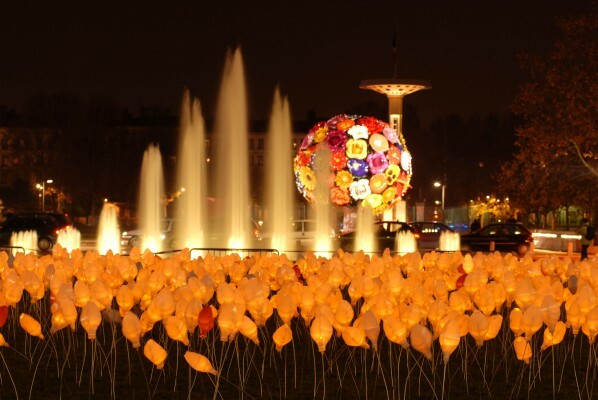 Thus, for 150 years, at night, all inhabitants of Lyon, believers or not, have been putting candles to their house. 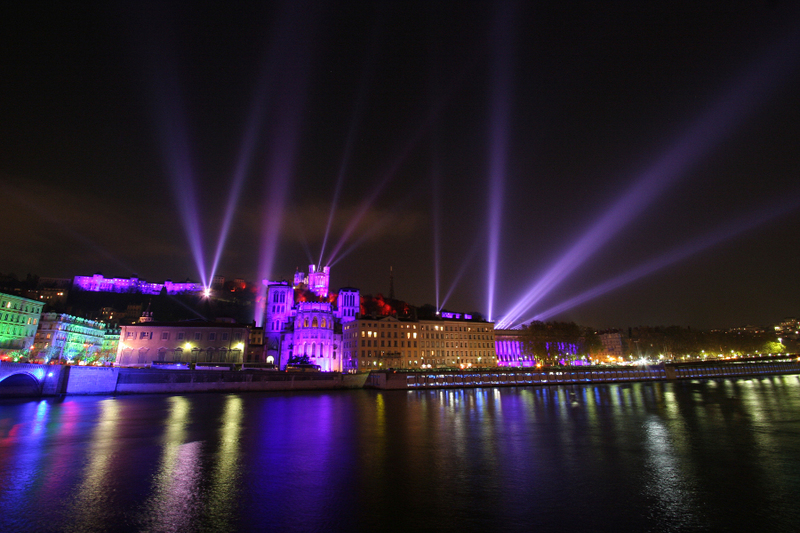 Little by little, the City associated this Christian but also popular custom to turn this celebration into a Festival of Lights called « La Fête de la Lumière » by decorating the town, recreating its monuments, streets and traboules in a floodlit path, setting on light its rivers and hills. On the 8th of December, the celebration permeates the entire city. Most of the windows are filled with candles while the streets are with music and street performances and churches offering free concerts. A four-night-long event around the 8th of December – from the 8th to the 11th of December 2016 – the city is enlightned. The population rediscovers its famous monuments decorated with fantastic light shows and displays, and its lesser-known, hidden places, are revealed over this period. Everywhere you look, your gaze is directed to repainted buildings in an eclectic range of colour, transformation, and floodlit stagings.